While the taste isn't changing, the soda will come in a taller, skinnier can with new graphics. The cans will be available individually and in packs of eight. 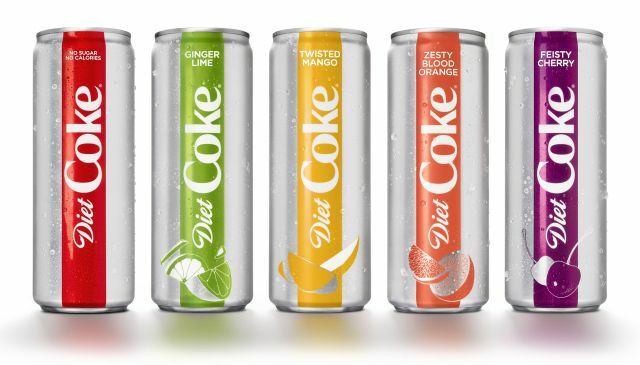 Diet Coke will also still be available in standard 12-oz cans, mini cans, glass bottles, and more. Beyond the new packaging, Diet Coke will also come in four new flavors: Ginger Lime, Feisty Cherry, Zesty Blood Orange, and Twisted Mango. If you're wondering as to the difference between Diet Coke and Coke Zero Sugar (both are zero-calorie colas), according to the brand, Coke Zero Sugar is meant to taste more like classic Coca-Cola, while Diet Coke is meant to be "crisper."